4K TV Vs 8K TV: Which Resolution is the Ideal Pick for You? 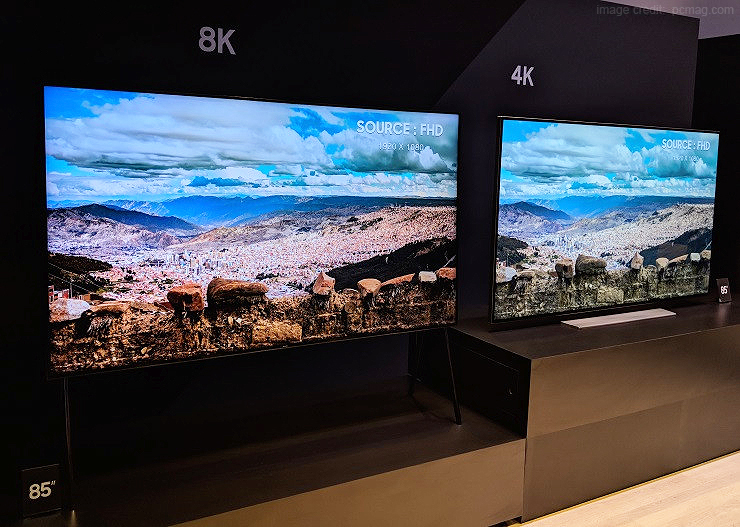 You are at:Blog»Advice»Should You Invest in an 8K TV or Pick a 4K TV Instead? It was only a year or two back when we finally saw ultra HD 4K televisions enter the Indian market. 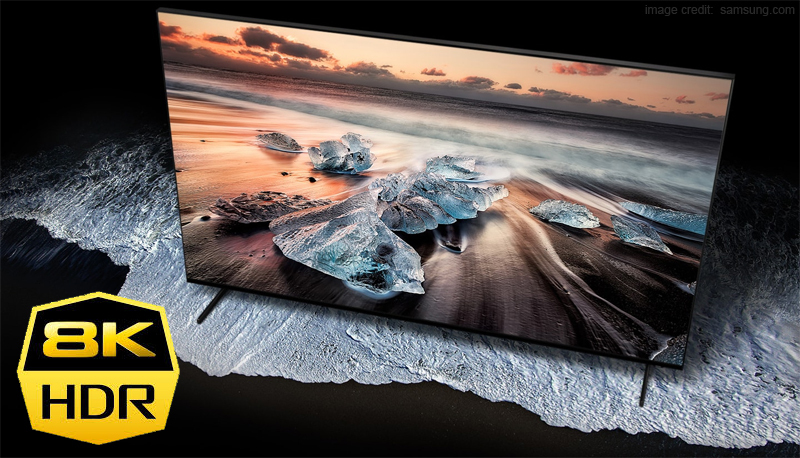 With people just starting to get comfortable with the idea of the 4K resolution, bam, we now also have 8K televisions making their appearance in the television market. Investing in a TV is a long-term investment, mainly because televisions can easily last for 8-10 years or sometimes more. With new technologies emerging in the market every day, the televisions that we buy today will look outdated in the next couple of years. In recent times, the major confusion for buyers is to decide between a 4K TV or an 8K TV. Both technologies offer amazing resolution, build quality and features. However, the question always comes down to – which one should you pick? To make your choice much easier, here’s our take on 4K TV Vs 8K TV and which resolution you should opt for. Coming down to the basics – what exactly does a 4K TV offer? A 4K TV offers four times the resolution of a normal HD TV. 4K TVs generally come with a screen resolution of 3840 x 2160 pixels. Interestingly, most of the latest 4K televisions in the market come with the upscaling technology which will allow you to convert HD videos and watch it in 4K resolution. This means that you can easily watch 1080p videos in 2160p. 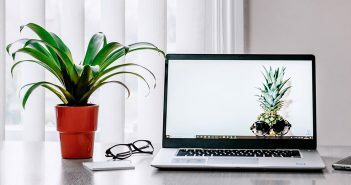 These TVs offer some of the best features and screen resolution in the market and are an excellent choice for anyone who is looking for a brand new TV. The first question that comes to our mind is – what is an 8 K TV? How is it better than a 4K or a Full HD TV? In simple terms, ultra HD 8K televisions offer screen resolution four times more than the 4K resolution. These televisions come with pixels measuring 7680 x 4320. Additionally, 8K televisions are popularly also known for offering images that are 8000 pixels wide. With a total number of 33,177,600 pixels on the screen, it becomes almost impossible to differentiate the pixel structure. In short, 8K TVs are currently leading in terms of screen resolution in the television market. While a television with 33-megapixel image quality is sure to offer an impressive TV viewing experience, it is hard to tell the difference between 4K and 8K unless you look at it from extremely close. 4K TV Vs 8K TV: Are 4K and 8K TVs available in India? Currently, there are a wide range of 4K TVs that you can choose from in India. These televisions are available as per your budget requirement. 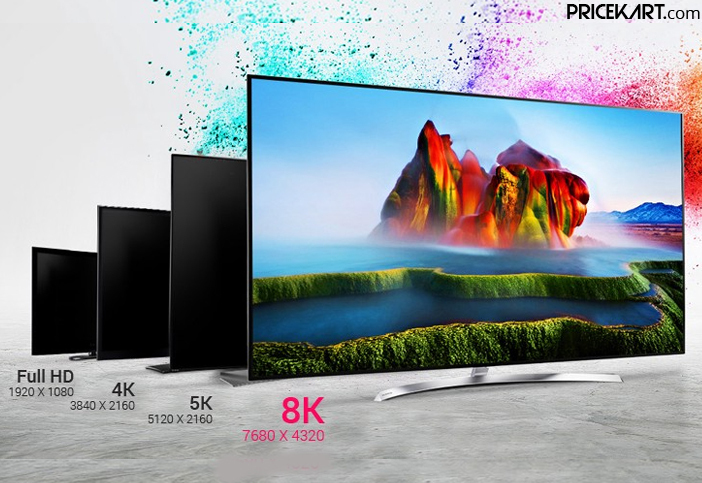 You can pick from a wide range of affordable 4K televisions in India. On the other hand, 8K televisions have still not made their debut in the Indian market. 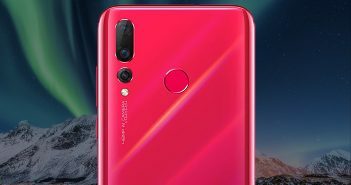 We can expect a few products to be available in the next couple of months. However, it can be said with a certainty that the initial few products will be a tad bit on the expensive side. The biggest factor that we consider while buying a new television is the content. Streaming channels like Netflix, Hulu, Prime and YouTube offer 4K content. So, it will be fun to watch 4K content on your TV. On the other hand, streaming channels and services are still not offering 8K content. You can easily find a 4K TV as per your budget. Thanks to the latest Xiaomi Mi 4K TVs finding an affordable 4K TV is not as difficult as before. 4K TVs are here to stay! Your 4K TV will still be technologically advanced a couple of years down the line, so you don’t have to worry about it getting outdated. 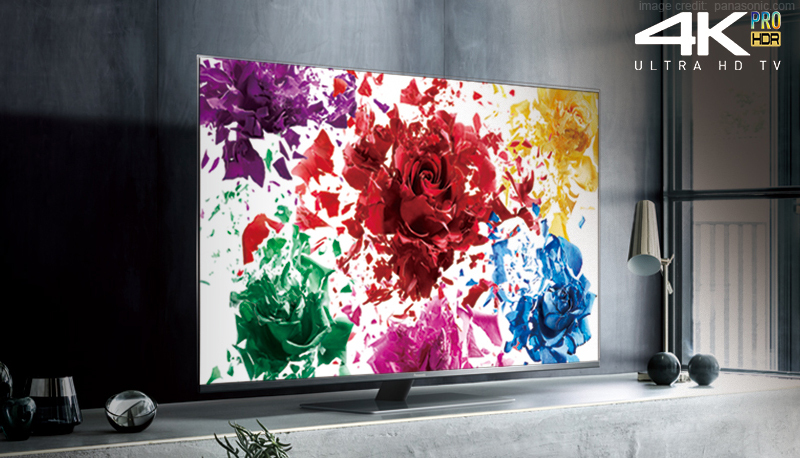 Most important of all – 4K TVs offer amazing picture quality, colour and sharpness. Plus, you can choose among HDR and OLED technologies while buying a new 4K TV. 4K TV Vs 8K TV: Which Should you Pick? In all fairness, it is too early to write 8K TVs off. They are still to enter the market. Nevertheless, with all things considered, if you have to choose between a 4K or an 8K TV – pick the 4K TV resolution. These televisions are equipped with all the latest and advanced features. 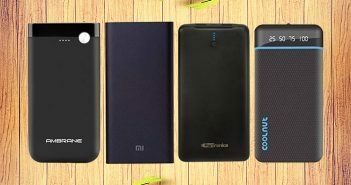 Moreover, you can pick a product that perfectly suits your budget requirement. And not to forget, while 8K TVs will most definitely offer better screen resolution, there is no 8K content to compare it with. So, if you are investing in a new TV – 4K TV will be your safe bet.